Tuesday: Work. Northend Club 10 from Pulford. 25 minutes 36 seconds for this one which was my first 10 of the year. The elusive sub 25 minute 10 still evades me. Still fairly happy, especially when you look at the age of other starters. No Janet this week but I’ve got Vicky hot on my tail, the gap is down to 6 seconds over 10 miles. Put it into perspective, she has no fancy wheels no aero helmet, no garmin on the bars. She just turns up and rides. Barry did 22min 58 seconds. Talk was of the club weekend which was wet, hard, and a bit of a leg breaker. Wednesday: Work. Last day and a bit of a conflict. No Lifestyle and weight management class. Thursday: Spinning class then the gym. Watched the Dauphine Libere go up the Ventoux. 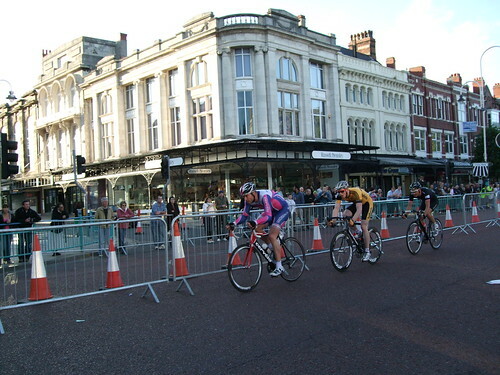 Went and watched the Tour Series at Southport. Chester next week clashes with the Northend 10. Great racing. Friday: 28.28 miles around the Wirral. Saturday: Steve Cummings training ride, my first of the year. 63 miles. Sunday: Jack day, a trip to Llangollen again. Email has been playing up so have noticed that I had a few comments in backlog. 84.5 Kg for the last two days so I’m slowly getting back to my fighting weight. All the less to lug up the Ventoux. I’ve started doing Spin classes in Warrington regularly and they are a great work out. For the first time on Thursday I did them wearing my Shimano SPD mountain bike shoes. It was great much more comfy (the rat traps bite into my feet) and also felt a lot more connected to the bike. How do you work out the calories you burn on the spin work out? Hi John, I wear a Crane Sports (Aldi) Heartrate Monitor that has a calorie counter function. An average class is about 650 calories with a max of 850 calories. You have to go flat out for 45 minutes for that. I had a Forerunner 50 that logged the whole class but didn’t count calories, some of them were frightening. Just cycled over to Oulton Park tonight on the off chance that you were racing there at the meeting. Sadly if you were I didnt find you, was going to introduce myself and commend you on an interesting website. Maybe next time. Thanks Tony, couldn’t make it this year. 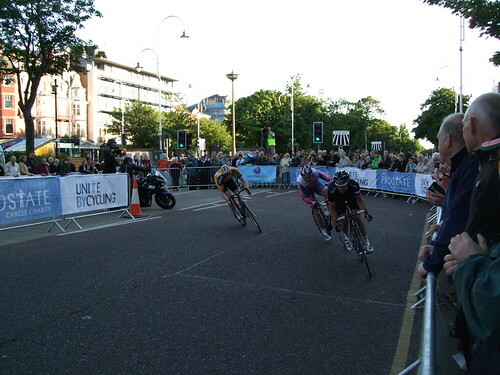 I don’t finish until 7 pm and have entered the Northend Time trial series which clashes with the TLI Oulton Series. 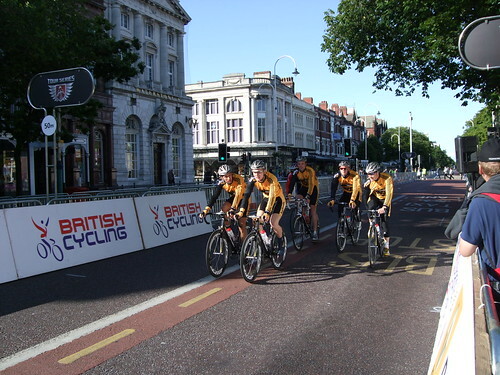 Next week there is a Northend 14 TT, the TLI Oulton event and the Tour Series coming to Chester. I shouldn’t be hard to find if I do turn up as I’ll be the only one with a triple.